Yet another awesome invention from Crazy Aaron… the Heat-Sensitive Hypercolor Thinking Putty! 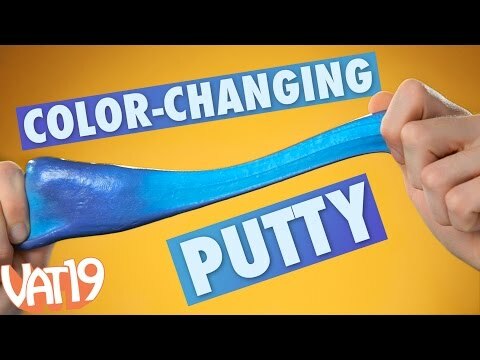 Kids can use this thinking putty in a wide variety of ways… it can be used as part of an arts & crafts project, regular toy, stress reliever and a whole lot more. Hypercolor Thinking Putty is thermochromic — which is a fancy way of saying that it changes colors at the touch of your hands. It ranges from “cool” colors to “hot” colors depending on the temperature of the thing touching it. Each package comes with approx. 1/5 lbs of putty to play with.